← What to do between challenges?? MUST Watch video before committing to sign up! With the final week of Rebel X upon us regarding fit tests and measurements, it’s that time… to put out details for the next step… The Rebe11ion. It’s not so hard to see the 2 “L’s” are the number “11.” Simple and plain, this is the 11th challenge in illustrious history that makes up “Team Hulk/ Rebel.” There has been a LOT of growth in these last 10 challenges, and that growth will be on full display with this 11th go around. All across the nations, small seeds of inspiration are being planted in a big way, and little ol’ Santa Rosa happens to be rising like a bamboo shoot. As your appointed Rebel representative in this Fitness Rebellion, I will tell you the world is only going to open its eyes wider and wider to the inspiration that oozes out of these 12 week transformations. I mean it when I say that when this challenge is treated with the respect and enthusiasm that it rightfully deserves, you can achieve in 3 months what some people spend a LIFETIME trying to achieve a fraction of. If you’re seeking it, this challenge will help you achieve what you thought you couldn’t in a way that people will never believe could possibly be this much fun. I believe in planting a positive seed and getting a positive flower. This challenge will not break you down in a traditional way, because I believe that most people hopping into this event have already been broken down enough. It’s quite the contrary… I refuse to accept your negative thoughts rather than instill negativity in you. I’d love to go on and on but… That’s what orientation is for ;). August 21st, 22nd, and 23rd (depending on which team you are on) @ 6:30pm (all teams) – Fit tests! 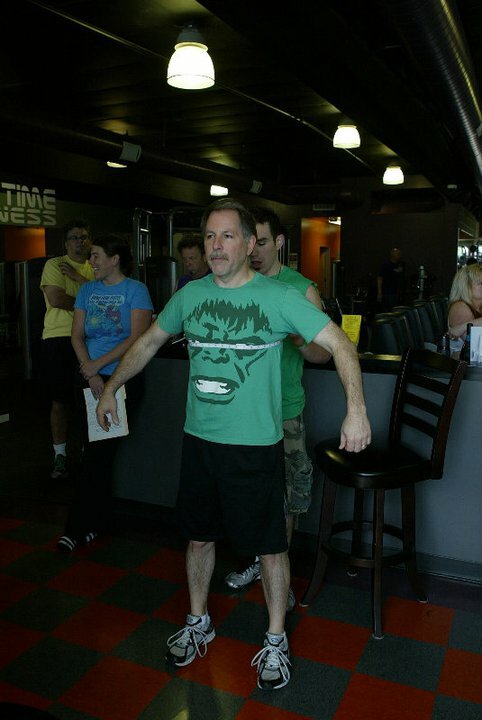 August 24th – September 6th – First 2 weeks of boot camps! September 7th-15th – I WILL BE GONE! A trip planned nearly a year ago has arrived! I am Tye Rivera’s best man as he renews his voices to his beautiful wife Bobbi Rivera in gorgeous Maui. Don’t worry though, I won’t leave you all hanging… I have something special in mind to keep you all healthy and busy while I’m gone! September 25th – November 3th – Boot camps resume! September 28th/29th – Half way point measurements! No make up day offered for half way point measurements, although there WILL be a make up boot camp on Saturday (time yet to be determined, but will be in the early afternoon) at no charge for those who still wanna get some good work in! November 6th-8th – Final measurement day! There will be NO MAKE UP DAY offered in exchange for final make up day. Not because I’m a scrooge, but because the moment the last measurement is filed, the work for everyone’s before and after certificates starts immediately. I’m talking within the hour of the last measurement taken. So make this day EXTRA PRIORITY! I miss the mustache Randy! Measurement day -This day signifies the official start of “The Rebe11ion” and is the first half of the stat keeping portion. All 3 teams will be meeting this day (times to be announced soon). This day is EXTREMELY important, and above all else should NOT be treated lightly. This is a very integral part of the process that, since there are so many of you, I don’t have the ability to set aside additional times to do make ups NOT on this day. With that said, after August 18th, I will announce ONE make up day. That day will only be announced AFTER August 18th and there will only be ONE make up day. That day will be of my choosing and is non-negotiable. Measurement day is when your before picture, starting measurements, body fat percentage, and initial weigh-in are recorded. There will be important paper work for you to fill out as well as instructions for a special exercise I will have you all doing at home before boot camps start. Not to be forgotten is that this is your first interaction with your team! This is your first chance to get out of your comfort zone and see who you’re going to spend an agonizingly amazing 3 months with! I love fit test day! 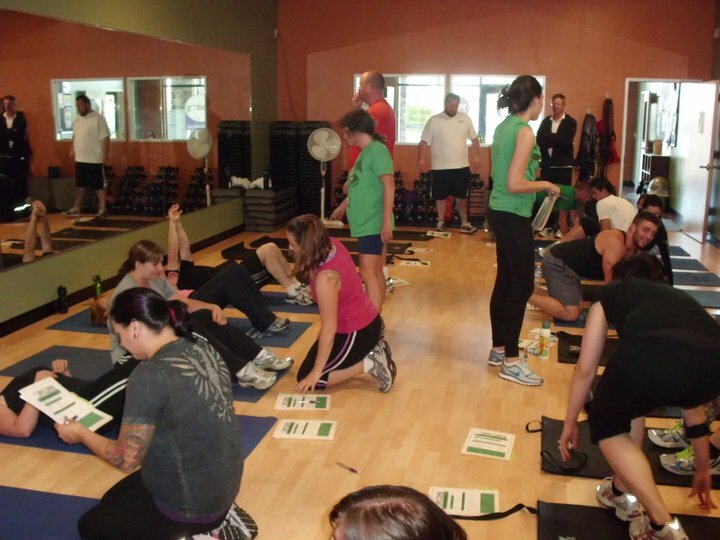 Orientation – Located at Anytime Fitness off Santa Rosa Ave. Immediately following orientation (approximately 1:45pm) will be a boot camp all Rebels are invited to attend! Feel free to bring friends and family to both orientation AND boot camp. The more the merrier! Those closest to you are going to be asking what the big deal is a few weeks from this point anyway, so might as well have them find out first hand :). Information on what to expect, what to bring, car pooling, and everything else you need to know will be posted in full detail in a couple weeks, just MARK THIS DATE DOWN!!!! I’m hoping for a great turn out! Team 1 – Meets every Tuesday @6:30pm and every Friday @6:30pm. Measurement day is August 18th (time to be determined) and Fit Test day is August 21st. Team 2 – Meets every Wednesday @6:30pm and every Saturday @10am. Measurement day is August 18th (time to be determined) and Fit Test day is August 22nd. Team 3 – Meets every Thursday @6:30pm and every Saturday at 12pm. Measurement day is August 18th (time to be determined) and Fit Test day is August 23rd. If you have open availability for a couple different teams or ALL of the teams, PLEASE be prepared to express that. Details below in the “sign up process” step. It is VERY important that you understand the importance of the team you select. This is going to be YOUR team. We follow the “one team, one dream” philosophy, but I can’t have people switch classes on a whim the way people have before. A lot of work goes into building the team experience, and if you hop from team to team, it throws off a few things… It disrupts the workout I’ve designed for a certain amount of people, it inhibits your ability to fully experience that team camaraderie, and loses sight of the fact that this challenge should be approached as something more important than an after thought. Not showing up to your designated team workout because “I’ll just go to tomorrow’s boot camp” will not be something that will continue with this upcoming challenge. That doesn’t mean you can NEVER switch days, but if you need to switch then e-mail me… We’ll talk it over and see what solution we can come up with :). Which team works best for you (Team 1, 2, 3, or any). If you have open availability for for a couple different teams or ALL of the teams, PLEASE mark that. It makes organizing a tad less harrowing and stops one team from getting top heavy to the point where I have to tell people they have to join the next challenge (which I HATE doing… :(). I humbly ask from the bottom of my Hulk heart that if you are flexible with your team schedule, let Jessica know. Thanks y’all! Once you are signed up, I will add you to the official “Rebe11ion” Facebook group! This group is where pictures, accomplishments, questions, updates, news, funny things, and anything else that help, inspire, or drive us as Rebels. It’s our forum to banter and keep in touch with one another. If you are not on Facebook, don’t worry… All ABSOLUTELY MUST NEED TO KNOW INFORMATION will be posted on Timetorebel.com (so I suggest subscribing which can be done in the upper left hand corner). If you are an official Anytime Fitness member, you can forgo this next paragraph because your info regarding price is done :). If you did not participate in “Rebel X,” are not a member of Anytime Fitness, and would like to sign up for the upcoming challenge, then the extra cost goes into setting up your key so that you can use the gym like a regular member! The only stipulation from a FULL membership is that you can only use Anytime Fitness off Santa Rosa Ave. Our gym is at your disposal for the duration of the challenge, day or night! You have access to all additional classes as well. Once the challenge is over however, you have a decision to make… Which happens to be the next information tidbit :). As long as $100 down payment is in by August 18th and the challenge is paid in full by November 1st, feel free to devise whatever payment plan works best for you! 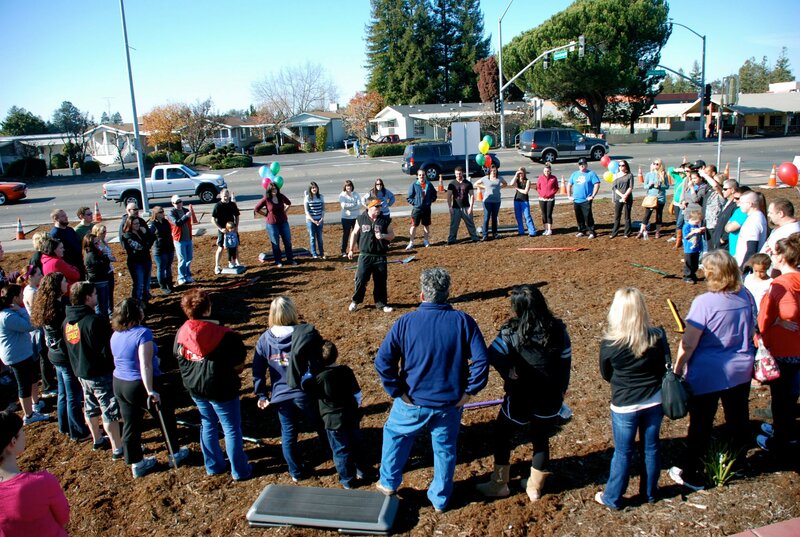 If you participated in “Rebel X” as a first time “non member” then you are in the handful of people who need to make a decision… To join or NOT to join Anytime Fitness off Santa Rosa Ave. If you participated in the last challenge and would like to get a full membership, then it’s as simple as starting to pay monthly dues. That’s it. The extra fees you paid to participate in the last challenge will be put towards your enrollment fees, adding you to the Anytime network, and activating your electronic key fob so that you pay no additional money on officially joining. Also, once you join, you only have to pay the member price for the next challenge at $325 :). You even get to go to ANY of the Anytime Fitness’s in the area (Rohnert Park, Petaluma, Larkfield, Windsor, Skyhawk area just to name a few…) Better yet, start up rates are currently at $49.95 but you’ll get a Rebel discount at $44.95 a month. To fully sign up, all you have to do is show up to the gym any time between now and August 18th during staffed hours (Monday – Thursday: 10am – 7pm, Friday 10am – 4pm, and Saturday 10am – 2pm) and say “I did the last Rebel challenge, I’m doing the next one, and I want to get a full membership!” and they’ll know what to do! As long as $100 down payment is in by August 18th and the challenge is paid in full by November 1st, feel free to devise whatever payment plan works best for you! If you did the last challenge, are interested in doing the next challenge, but NOT interested in getting a membership, then your price will actually be $500 ($150 down payment by August 18th and paid in full by November 1st). The reason for the extra cost is because when you signed up for the last challenge and paid the extra few above a normal members rates, you were getting an EXTREMELY discounted monthly rate at $25 a month while the existing Anytime Fitness members were still paying full monthly dues. It wouldn’t be fair to have you sign up again, have full access to the gym just like everyone else, and still paying a discounted rate while everyone else pays full rates still. The extra $100 goes into evening out the monthly dues so members aren’t paying MORE to do a challenge at a gym they’ve been paying full dues to already. I appreciate your understanding! As long as $150 down payment is in by August 18th and the challenge is paid in full by November 1st, feel free to devise whatever payment plan works best for you! It keeps track of the foot traffic in and out of the gym, allowing John and Denise (owners) to make adjustments and monitor as they need. It’s what ALL members have to do, so it gives a bad impression when they see people showing up to the gym and walking in through the door on the left like they own the place. They don’t say to themselves “I’m only going for a half hour of cardio so I don’t need to bring my key” so that means “I’m only doing Rebel and leaving so I don’t need to bring my key” is out of the question. It helps everyone in the office. When everyone goes through the door at once or walks in through the non-member door on the left, it sets off all the security systems on the computer and creates momentary havoc on the check in system. Not only that, but seeing people going in and out of the non member door is confusing since they are used to people walking in through that door needing help. There is nothing more frustrating than getting up several times to help someone only to find out it’s the same people over and over again who didn’t bring their key. I could go on, but you get it :). Everyone getting key access the way we did it last time was new to everyone. Now, it’s not new… Now, it’s something that we all need to work on and do good at together. One team, one dream! You know how I like leading by example :). There we have it! There is MUCH more information to unveil, like some of the new plans I have for this challenge (one idea I GUARANTEE NONE OF YOU HAVE EXPERIENCED BEFORE!!!!! I’m excited, can you tell? ), the team names, the team song, workout schedule, orientation details, and a plethora of other things. For now, I wanted to get the sign up process rolling. Between this post and the one before it, you all now have all the details of classes in between challenges and how to get going for the challenge coming up. More and more information will pop up as it is ready to be unveiled.